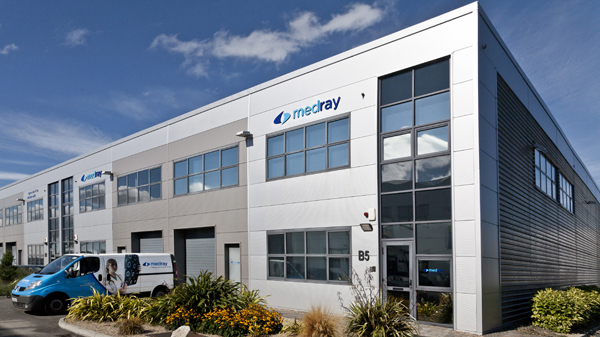 Medray Imaging Systems is Ireland’s leading provider of X-ray equipment, accessories and consumables to the Radiology imaging industry in Ireland. The history of Medray dates back to October 7th 1979, when the company started its journey with a focus to selling X-ray equipment to the Irish healthcare market. During the early days of Medray, the company concentrated in film and chemistry, however, gradually with the passing of time, the company grew and now boasts a strong portfolio of radiology solutions. This seamlessly transitioned from analogue to digital and consumables to capital is evident in the some of the world’s leading multinational radiology companies like Agfa, Apelem DMS, Carestream, Epson, Giotto, Scanflex and Vidar. A huge array of X-ray accessories and consumables from Fona, IMS, Infab, Kenex, ProtecX, Parker and Raybloc provide the busy Radiology imaging community with a one-stop solution to their everyday needs. Today our customers include all the facilities where X-ray are taken like veterinary practices, dental surgeries, Chiropractic clinics, and NDT sites. ‘Helping you to help others’ is our commitment, to providing you with a complete cradle to grave solution from the start of the sales cycle to the disposal of your old equipment. Our team of 29 staff wake up each morning to concentrate on delivering services like order processing, logistics, CAD drawings, project management, installations, maintenance and the marketing of our business partners’ products and the Medray brand. Our experienced customer care team along with specialist business development executives and fully trained engineering staff makes Medray significantly different from others and this has been acknowledged with many industry awards for our service delivery.